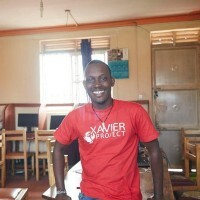 Im working @XavierProject in @TamukaHub as an ICT Trainer on Social Media as well managing it. International Committee of the Red Cross: On the ground in over 80 countries, providing humanitarian aid to victims of conflict and violence. Dr. May is the Co-Founder of Bridge, and a passionate advocate for equalizing opportunity for children. Robert HAKIZA is a Congolese Agricultural Engineer. He is one of the founders and the Director of YARID a refugee grassroots Organization based in Kampala. We are a global network of organisations working together to improve the lives of urban refugees and Internally Displaced People in developing countries.